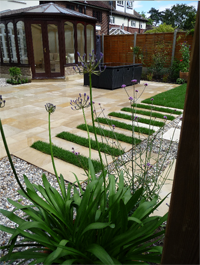 Forbes Garden Design specialise in garden design in East Essex. We will provide the inspiration to transform your garden. Whether you are looking for a contemporary garden design, beautiful traditional landscaping, the renewal of a current planting scheme, a child friendly garden as the family grows, or simply a new plan for your school garden then Forbes Garden Design will provide you with the expert team for the design and build of your outside space. If you're looking for a garden design in East Essex, look no further than Forbes Garden Design and call us on: 020 8502 1122. If you have any questions regarding our services please contact Forbes Garden Design via - 020 8502 1122 or Email: claire@forbesgardendesign.co.uk.